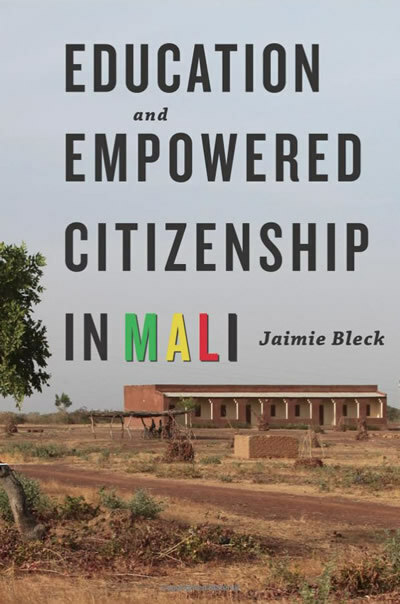 In a new book, Education and Empowered Citizenship in Mali (Johns Hopkins University Press, 2015), Jaimie Bleck, an assistant professor of political science and a Kellogg Institute faculty fellow, explores the relationship between schooling, political knowledge, and political participation in Mali, where access to education nearly tripled in the two decades following the country’s 1991 transition to multiparty democracy. Most African countries have focused on education as a strategy to improve human development, Bleck said, but in her research she took a different perspective, investigating how education contributes to building democratic citizenship and engagement. She explores the effect of different types of schooling—public, private, and secular—on the political knowledge and engagement of both students and their parents in Mali, where citizens are skeptical about electoral politics and the state more generally. Education also appears to connect parents more closely with the state and bolster their political participation. Bleck finds that parents who send their children to public school are more likely to engage in electoral politics than other citizens. She also demonstrates that increasing levels of education are associated with increases in more engaged forms of political participation, including campaigning, willingness to run for office, and contacting government officials. The research has clear implications for policy, both in Mali, now entering its second democratic transition, and in other developing countries. The book grows out of Bleck’s Cornell University Ph.D. dissertation, which garnered her the 2011 Lynne Rienner Award for Best Dissertation in African Politics from the American Political Science Association’s Africa Politics Conference Group. She draws on original data from a year of fieldwork in Mali, including surveys of 1,000 citizens, exit polls during municipal elections, interviews with students, parents, and educators, and government schooling data, as well as interviews with Malian educators and government officials. “Bleck presents a thought-provoking study of the political implications of expanded education in Africa’s democratizing countries,” says Leonardo Arriola of the University of California, Berkeley, a former Kellogg visiting fellow. Currently an American Council of Learned Societies (ACLS) Fellow, Bleck is now conducting field research on the role of the local discussion groups known as “grinw” in rebuilding civil society and democracy in Mali. She recently wrote in the Monkey Cage about the importance of governance to the current situation in Mali. 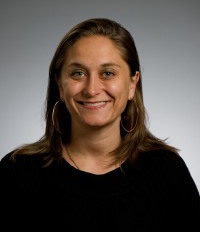 Previously, she and former Kellogg Visiting Fellow Philippe LeMay-Boucher, an economist from Scotland’s Heriot-Watt University, received USAID funding from the Center of Excellence on Democracy, Human Rights and Governance (DRG Center) for their collaborative research on grinw. They will present their findings at USAID on December 9.